If this were August, zucchini bread would be on the plate. But it's June and rhubarb is, if not plentiful at the farmer's market, at least available. This tart cousin-of-celery is one of the last truly seasonal vegetables and a harbinger of summer's bounty (including that zucchini). I've always associated rhubarb with rural America. And I'm not the only one, apparently. Last Friday, DS and his girlfriend drove to Massachusetts to experience a "country" weekend. (Never mind that when he arrived, he phoned to say: I can't believe I drove 4.5 hours to get to the middle of nowhere.) Freaked out by the inn's location next to a cemetery, they wanted to flee but fought the impulse. And their reward? 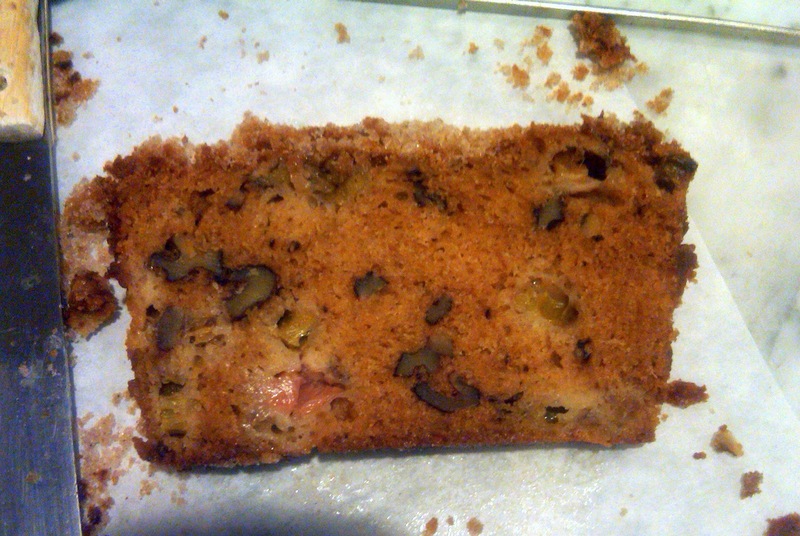 Wonderful fresh baked goods -- including rhubarb bread -- made by the inn's proprietress. 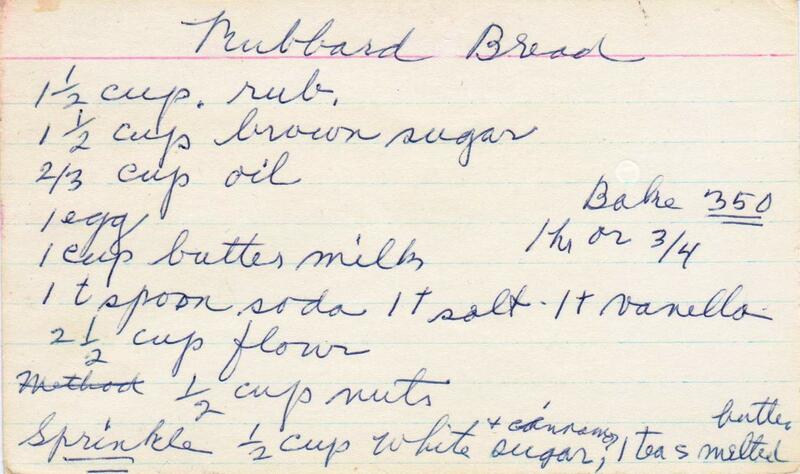 If you've got a few stalks of rhubbard (or rhubarb) on hand, I highly recommend this recipe. It's dense and complex and lovely with a cup of tea or glass of milk. What puts it over the top is the top -- an unusual crumb coating that adds another texture and sweet flavor note. 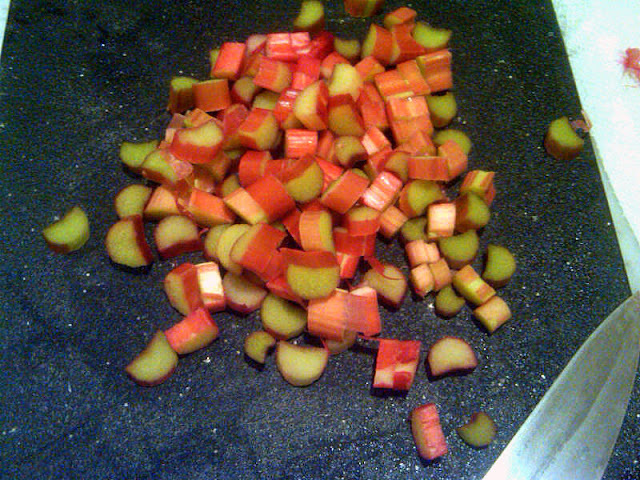 Cut up the rhubarb. You'll need 1.5 cups. Size does matter in this recipe; try to make the dice uniform. This is a one-bowl sweet bread. The recipe card has no instructions, but I followed a traditional method, which I've written out at the end of the post. 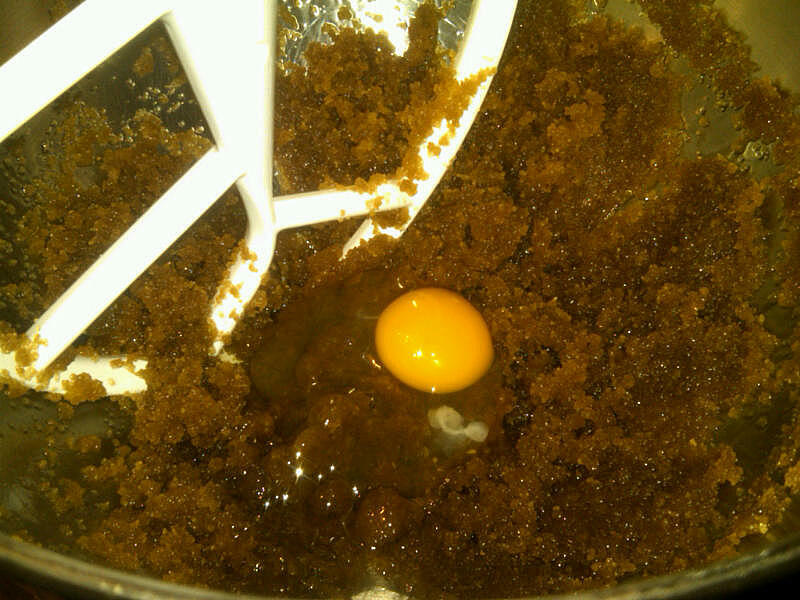 Combine sugar, egg and oil in mixing bowl until well blended. Add flour mixture and buttermilk to mixing bowl, alternating between them, starting and ending with the flour mixture. Add vanilla. 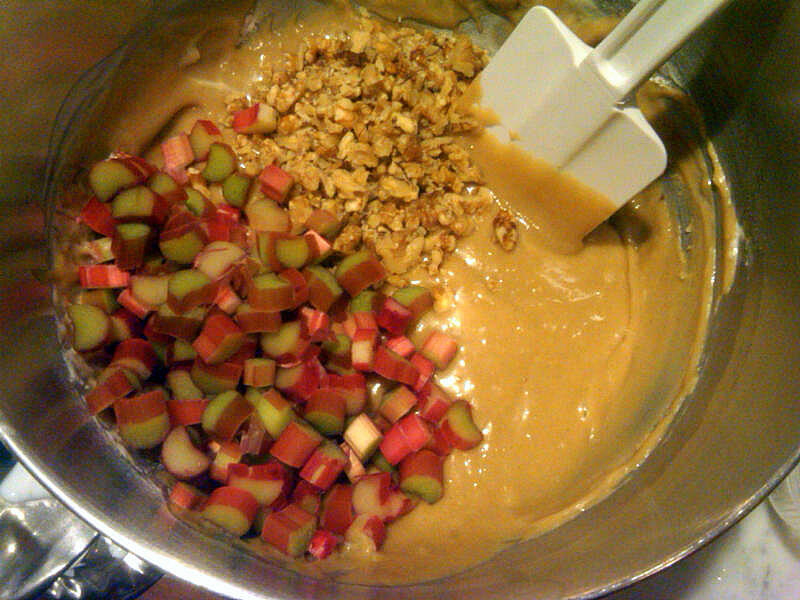 Add nuts and rhubarb. Combine and pour into prepared pan. 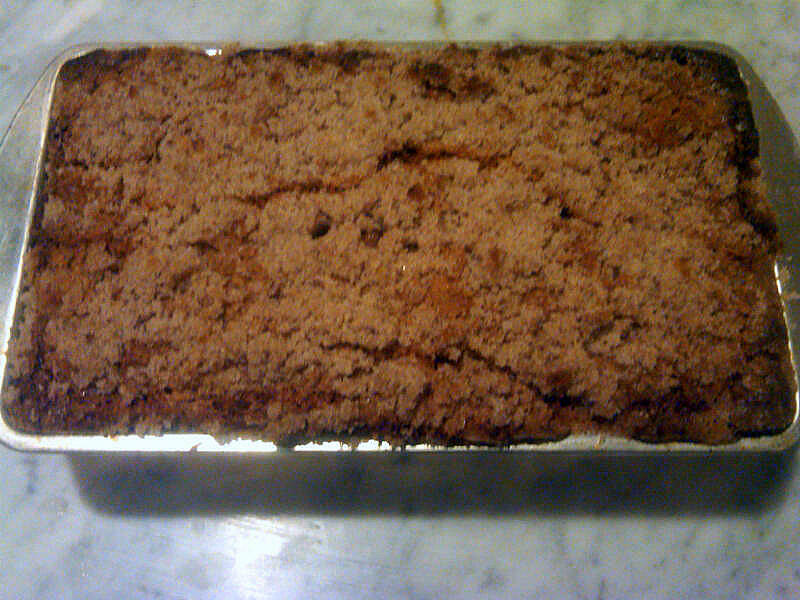 Topping: Mix 1/2 cup white sugar, one t. cinnamon, and 1 T. melted butter (feel free to play with the proportions here) and sprinkle it over the top of the bread. Bake for 45 minutes to an hour. Or longer if it doesn't seem done. I´ve never had rhubarb, though I´ve come across it a thousand times. I will make it a point to look for it next spring and finally bake something. This bread is refreshingly different! Hi, Paula! The bread is good, but I just checked out your blog and am amazed by how productive you are and how many fabulous things you've been making! You put me to shame, but I want to try all of your recipes RIGHT NOW! Hope you're feeling better! Welcome back. Missed seeing your posts. 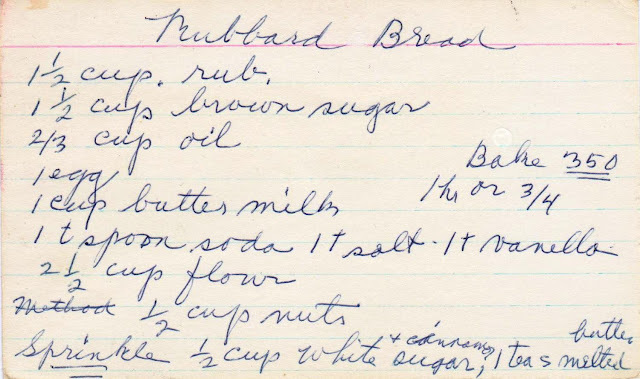 The rhubarb bread sounds interesting. Might need to give it a try as I've seen rhubarb the last couple of times I was at our Farmers Market. Thanks, Sharon! 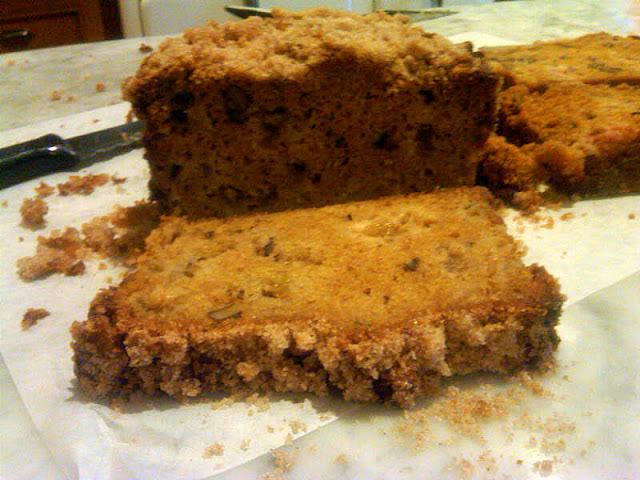 Yes, life has interfered with my blogging (though not really my baking, strangely enough). Hope to get back to my regularly scheduled programming soon, just as soon as I find where my self-discipline is hiding. I love rhubarb :-)) I have to search for it in the store and bake something with it soon :) Thanks for the idea! Thanks, Molly -- all the way from the Czech Republic and a wonderful baker yourself, not to mention a great decorator! Love your blog, and so nice of you to write.